I love to create cards and I have had this one in mind for quite some time now. 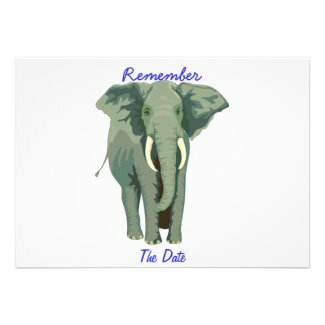 An elephant is supposed by many to have a great memory, so why not send someone a card picturing an elephant whenyou want them to remember a date, whether it be a wedding, bridal or baby shower or a birthday. The Elephant says it all, this is a date to remember! Whale T-Shirt by Bretsuki Create t shirt.